That's cute I guess. But the labels are uneven. I'd be annoyed every time I looked at them. Well, the bottles are different so the labels must be different. 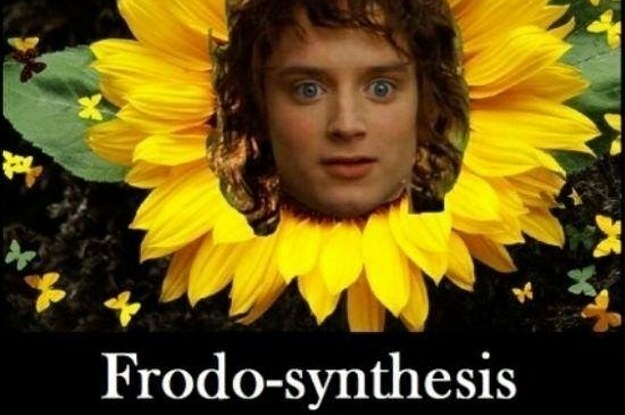 Though why Frodo isn't the small one makes no sense. Oh that's by far the best Ive seen !! Great find Forest ! Elrond didn't necessarily know for sure at the time what would happen if the Ring wasn't destroyed. 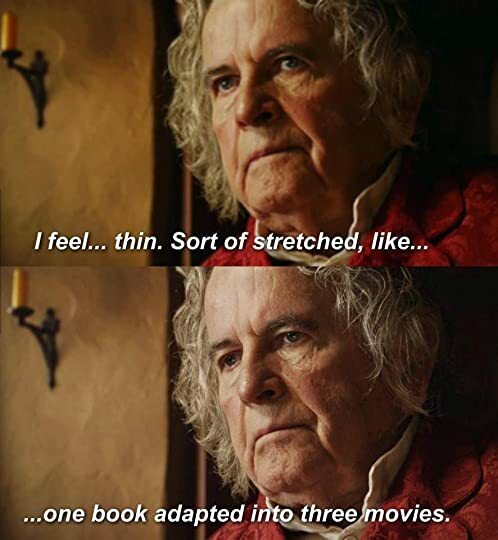 He clearly wanted it gone just to be safe, but if he wasn't certain that Sauron would return (and that seems to be the case in general) it's not necessarily worth killing the High King of the Dúnedain over it. Beyond personal moral considerations, that would have had major negative consequences on both elves and humans and possibly launched them into another war right on the heels of the last one. Plus, no one was capable of deliberately destroying the Ring (made explicit in the Letters and probably true in the movieverse as well), so even if Elrond had felt the urge to push Isildur over the edge it wouldn't have been something he could've brought himself to act upon. Well, Elrond marked what he did. There was no mention of actually going into the Cracks of Doom. Yeah, the way events play out in the book is different and there's not really any discussion of a plot hole there. 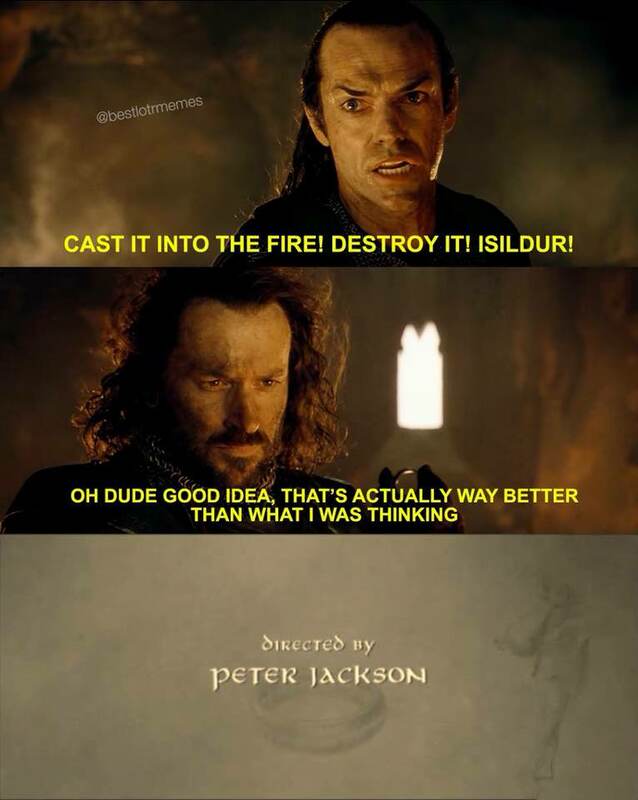 Even if Elrond and Cirdan had wanted to force Isildur to destroy the Ring they didn't really have an opportunity to do so. But having Elrond and Isildur actually in the Crack of Doom, which I assume PJ did for visual/dramatic reasons, has led a lot of people to ask the "why not push him?" question over the years. FOTR, II 2 wrote: ‘Alas! yes,’ said Elrond. 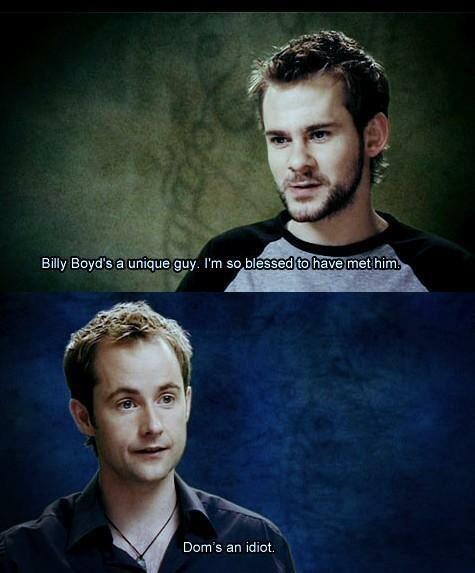 ‘Isildur took it, as should not have been. It should have been cast then into Orodruin’s fire nigh at hand where it was made. But few marked what Isildur did. He alone stood by his father in that last mortal contest; and by Gil-galad only Círdan stood, and I. 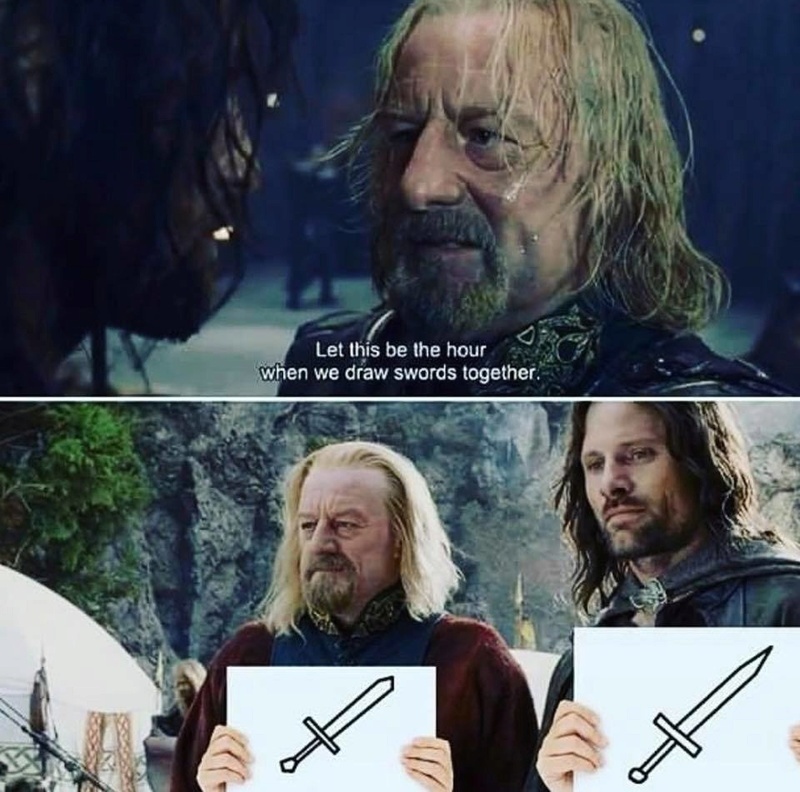 But Isildur would not listen to our counsel. ‘‘‘This I will have as weregild for my father, and my brother,’’ he said; and therefore whether we would or no, he took it to treasure it. But soon he was betrayed by it to his death; and so it is named in the North Isildur’s Bane. Yet death maybe was better than what else might have befallen him. From that passage we see that it's a good move to show Elrond in the movie trying to persuade Isildur to have the ring destroyed: it's what he and Cirdan did in the story. As Eldo said, the way it is shown in the film is altered for the sake of drama and spectacle. I think that the "why didn't he just push him?" question is rather dumb. Elrond in the movies is not shown to be a particularly hands-on type of person when it comes to the One Ring. He serves as a facilitator of discussion and a master of lore, and never acts in a hot-headed manner. It would be uncharacteristic of his film character to physically interfere in Isildur's decision: no matter how portentous his misgivings may have been at the time about the continued survival of the ring. I am not a fan of how Isildur is made out to be such a meany jerk-face in that particular scene, but the way that Elrond calls out to him gave me chills the first several times I watched it. It's excellent cinema.